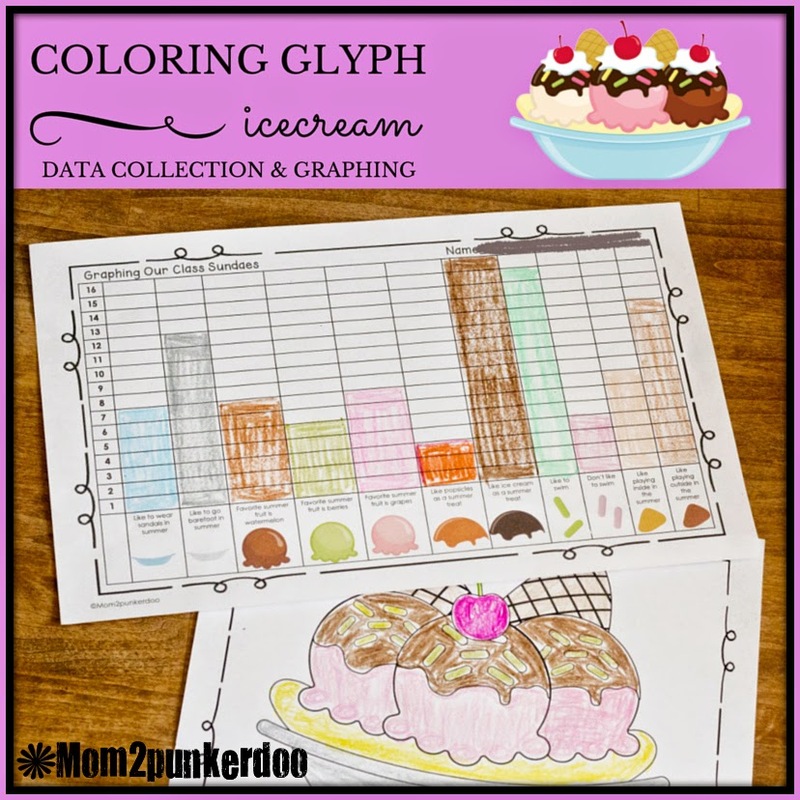 Fun ice cream sundae coloring glyph to use in centers or as a whole class data gathering and graphing activity. Makes an adorable bulletin board display. Summer themed survey questions that can be used either at the end of the year or for back to school fun!